The HiBs (pronounced High Bees) are Kate & Jode Dowling and Patsy O’Brien. HiB is short for Hibernian, the Roman name for Ireland, but let’s all be honest here. Academics aside, the name was actually inspired by our favorite bar in the world, The HiB, in Cork City. Kate (Wade) Dowling grew up Irish step-dancing and playing music in an Irish-Italian immigrant neighborhood in Chicago, where maintaining ones heritage was a natural way of life. She learned music with Noel Rice (Co. Offaly) and dancing with Jim McGing and Mark Howard (later Trinity). 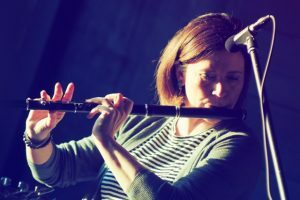 A world-championship level dancer, and multiple Midwest Fleadh winner, Kate later focused solely on music and performed and recorded with groups including Baltiorum, the Doon Céilí Band and the HiBs. Through teaching, sessions, and performances, Kate loves sharing the joy the music has been bringing her for over 35 years. 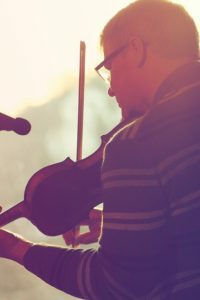 A third generation fiddler, Jode learned much of his early music on his Grandfather’s fiddle and was strongly influenced by his Mother and family from Gurteen, Co. Sligo, as well as his Father’s musical family from Tulamore, Co. Offaly. Early mentors were his brother Martin, Liz Carroll, John Kelly Sr., Bobby Casey, Joe Ryan and Fred Finn. 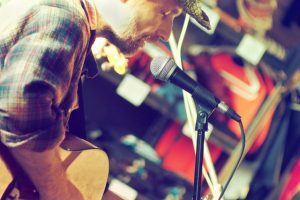 Jode played with the Minnesota Music Award-winning band formerly known as the Clumsy Lovers, and was a member of Shanachie recording artists, the Doon Céilí Band. 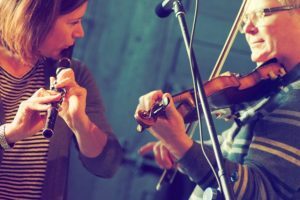 He shares his love for Irish traditional music with his students at the Center for Irish Music, the school Kate and Jode founded in St Paul, MN in 2004.